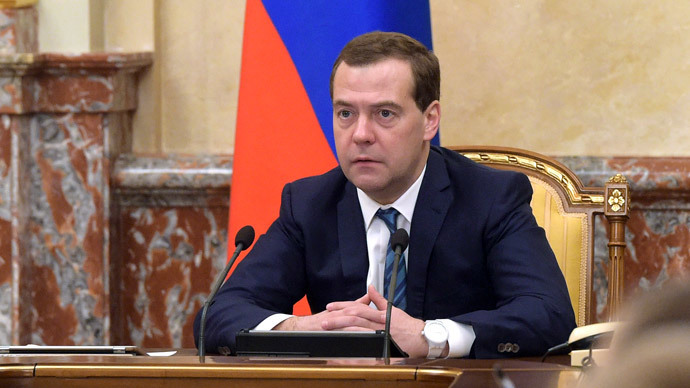 Russian Prime Minister Dmitry Medvedev has signed a one-year anti-crisis plan designed to stabilize the economy. The document includes 60 measures and will cost at least $35 billion (2.3 trillion rubles). The final cost hasn’t yet been calculated but the official statement published Wednesday shows that as for now the Government is going to spend about $35 billion, which also includes the $15 billion (one trillion ruble) bailout for Russian banks agreed last year. Last Friday, Russia’s Agency for Deposit Insurance approved a list of 27 lenders that’ll get the bailout money including VTB Group ($4.5 billion, which is around 310 billion rubles), Otkrytie group ($1 billion or 65.1 billion rubles) and Vnesheconombank (VEB) ($300 million or 20.4 billion rubles). As part of the plan, Russia will also create a bank for ‘bad debt’ that’ll collect corporate debt and problematic company assets. The overall cost is expected to be clarified by March 2015, after agreeing on the measures with deputies and members of the Federation Council. The plan will support the main sectors of the domestic economy and provide for the fulfillment of international and social commitments. 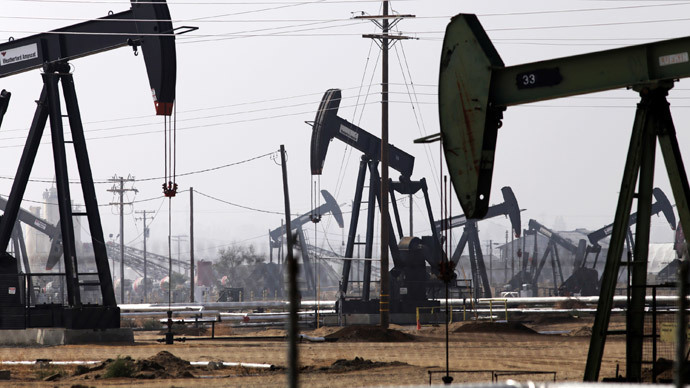 The Russian economy is going through a crisis caused by plummeting oil prices and Western sanctions. The cost to Russia's economy is estimated at $200 billion, Russian Finance Minister Anton Siluanov said Wednesday. "The effect of external shocks for the current account balance is around $200 billion. First of all it's the drop in oil prices, we are receiving less currency. All experts admit this situation will continue in the long term,” he said. The minister also said the Russian National Welfare Fund (NWF) should be spent cautiously as it makes use of part of the country’s foreign exchange reserves. "This year we will also continue the capitalization of banks at the expense of the National Welfare Fund. If we decide to invest in projects, we’ve agreed to review the decisions taken because in the present circumstances we need the NWF to be used with extreme caution" Siluanov told the Federation Council Wednesday. The Minister said a reserve fund is first of all a ‘safety pillow’ for the economy. "The National Welfare Fund is the same as the Reserve Fund, a source in the case of a reducing revenue base," he said. On Tuesday Russian Prime Minister Dmitry Medvedev approved the main points of the plan which involves cutting the majority of expenses by 10 percent but leaves unchanged the planned spending on defense, support of agriculture and the fulfillment of the country’s international and social commitments. The plan will also provide for the use of state guarantees and support for domestic industries. It also includes a large block of measures to reduce the administrative costs of business. The Cabinet approved the plan on January 26. President Putin then said that it should be given priority to ensure social stability. "The achievement of this goal is possible only in case all acceptable parameters of the economy are preserved,” he said. According to Finance Minister Anton Siluanov, the value of the anti-crisis fund is 170 billion rubles. "All of the resources for the implementation of this plan will be allocated from the budget anti-crisis reserves," Siluanov said on Tuesday. The minister added that the government will not increase the costs and will operate within the approved budget. Medvedev will meet with regional leaders on Wednesday to discuss the implementation of the plan in all areas of the Russian Federation.